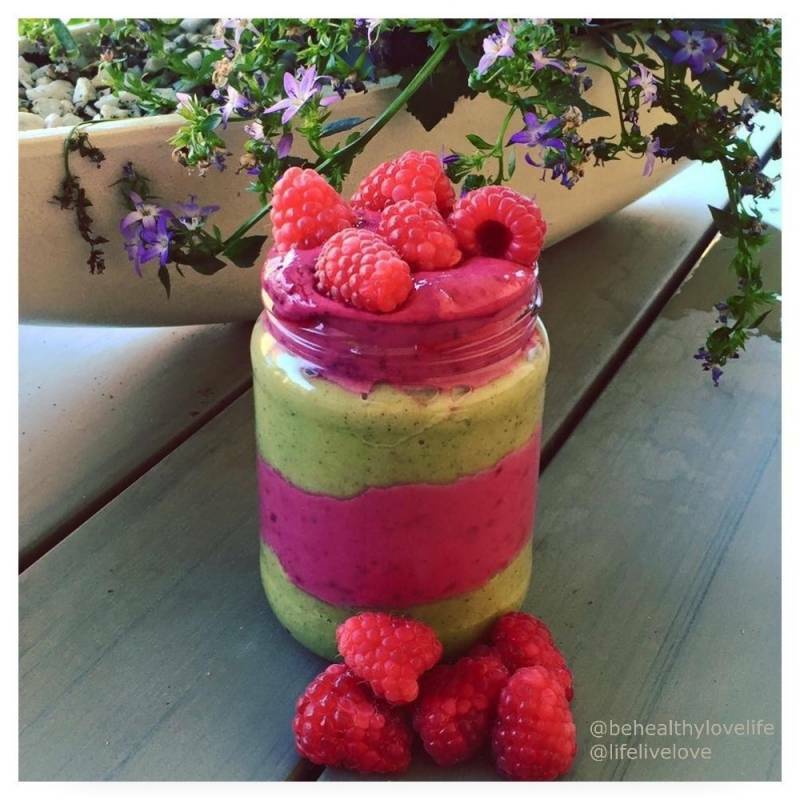 Smoothie jar recipe from Maaike Smink in which she has processed Greensweet liquid stevia. 10 drops greensweet liquid stevia raspberry. Mix the two layers separately until you get a nice piece of free smoothie. Then scoop the two smoothies in a jar. put some fresh raspberries on top and feast.